Harkening back to the last incarnation of the WBC in 2006, there was one player who really caught my attention. This was Cuban catcher Ariel Pestano, mostly for his antics rather than his actual playing skill (though that is not to say he is not a highly skilled player). When I learned that at the age of 34, he will be retiring after this season, I knew I had to catch him at the 2009 WBC before it is too late. Ariel is aptly named since he really puts the “Pest” in Pestano. He is a throwback-style catcher, always chatting up the hitters when they step into the box trying to get under their skin. 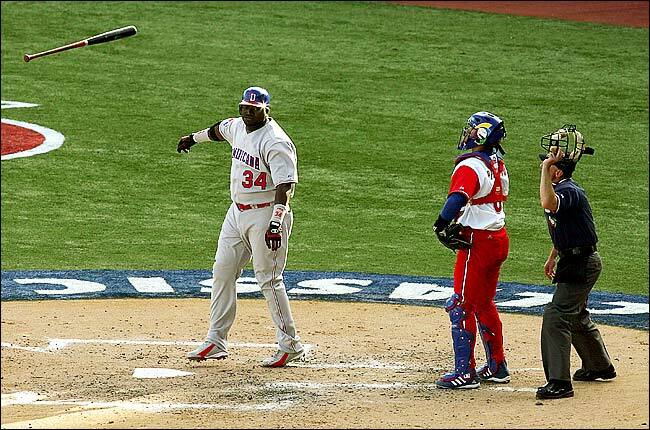 I first realized this when Cuba was playing the Dominican Republic in 2006 and Pestano kept yapping at David Ortiz from behind the plate while he was at bat. The next pitch Ortiz absolutely crushed out of the ball park and he pimped that home run like nothing I had seen before. As he tossed the bat he turned around and glared at Pestano and mentioned something that I can imagine was the dirtiest Spanish cuss word. Pestano in turn took out his frustration on his own pitcher, cussing him out. I don’t really do the description justince, you must watch it here. 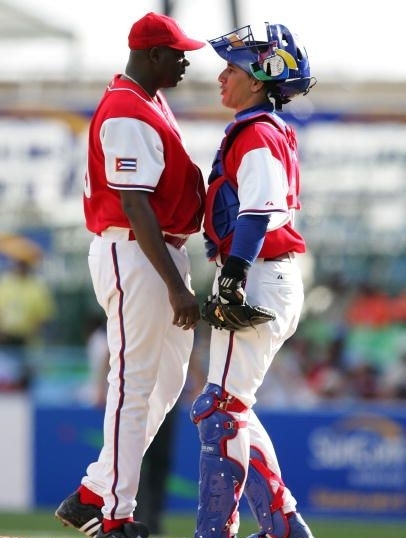 Ariel Pestano Valdés (born January 31, 1974), better known as El Veterano (“The Veteran”), is a Cuban baseball catcher. He is known as one of the greatest catchers in Cuban history. 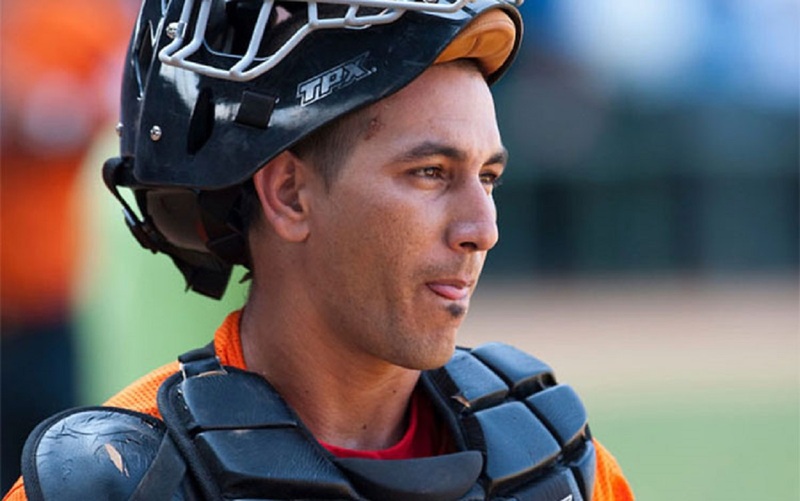 He has won both silver and gold medals in the Olympic Games and also played catcher on Cuba’s World Baseball Classic team in March 2006 and March 2009. 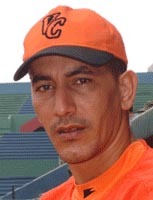 In Cuba, Pestano plays with the Villa Clara Naranjas of the Cuban National Series. Canadian baseball fans might recognize Pestano from the 1999 Pan-Am games. 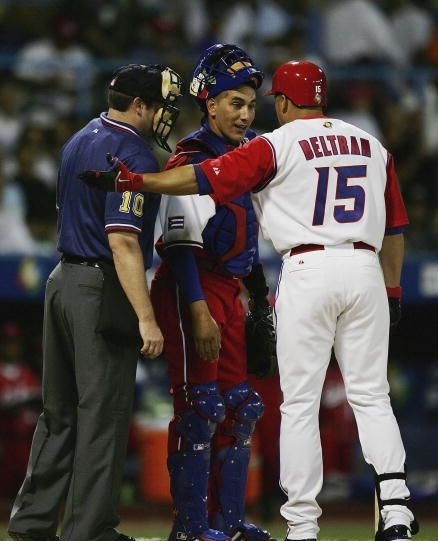 Pestano tackled a protester who ran onto the field to charge pitcher José Ibar in a game against Team Canada. Pestano hit .305/.430/.442 in the 2007-2008 Cuban League Season season. 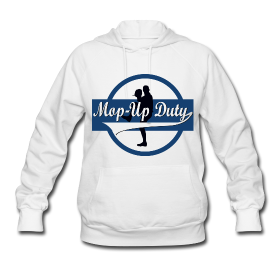 He drew 53 walks while only striking out 21 times as well as winning Cuba’s version of the Gold Glove Award. He has led the Cuban leagues in percentage of runners caught stealing and fielding percentage on several occasions. Pestano announced on January 28 that he would retire following the 2009 Baseball World Cup to work with his son, a catching prospect. The 34-year-old Villa Clara superstar receiver was quick to clarify that he is still in top playing shape and also totally satisfied with this season’s personal performance. He also announced that he will remain with the national team throughout the IBAF World Cup tournament in September, which he has now apparently decided will be his swan song event. 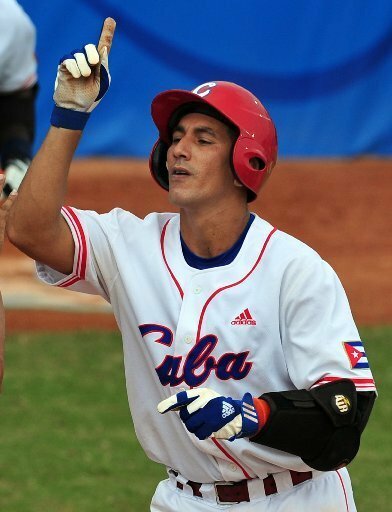 Pestano hit .308/.357/.692 in the 2009 World Baseball Classic, finishing 4th on Cuba in OPS. His big hit of the tourney was a 3-run homer off Luis Ayala in a win over Mexico. Pestano is known as a colourful player, often making comments to the opposing team’s dugout when at bad and doing a little dance after swinging and missing at a pitch in a taunting fashion. He also gets into heated arguments with his battery mate, often getting into heated debates/arguments on the mound. If you get a chance, definitely watch for this player during his “swan song” at the IBAF world cup in September.